PM Modi had announced the procurement of 36 Rafale fighters after holding talks with Hollande on April 10, 2015, in Paris. Three Left parties Tuesday demanded a joint parliamentary committee probe into the Rafale "scam", alleging that the "needle of suspicion points directly" towards Prime Minister Narendra Modi. The Communist Party of India (Marxist), Communist Party of India and the Communist Party of India (Marxist-Leninist)-Liberation, in a joint statement, also extended their support to the week-long protests called by the Jan Ekta Jan Adhikar Andolan from October 22 to 27 against "corruption" in the Modi government. "The mega scam in the purchase of the Rafale fighter jet planes must be probed by a Joint Parliamentary Committee. The needle of suspicion points directly towards the prime minister," the statement said. In consultation with other Left Parties, a nationwide protest call will be given to expose this "mega scam" and demand punishment of the guilty, the three Left parties said. The opposition led by the Congress has been accusing the government of benefitting Anil Ambani's Reliance Defence Ltd from the Rafale deal. The BJP has dismissed all the allegations as false. 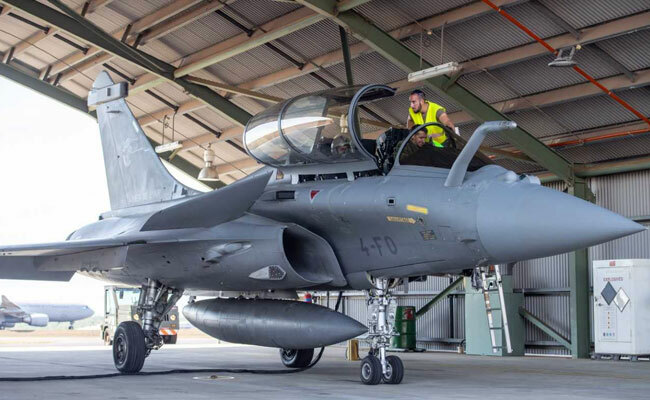 The Rafale controversy took a new turn last month after Francois Hollande, who was French president when the Rs 58,000 crore deal was announced, was quoted as saying by French publication Mediapart that France was given "no choice" on selection of the Indian partner for Dassault and the Indian government proposed the name of Reliance as offset partner for the French aerospace giant.